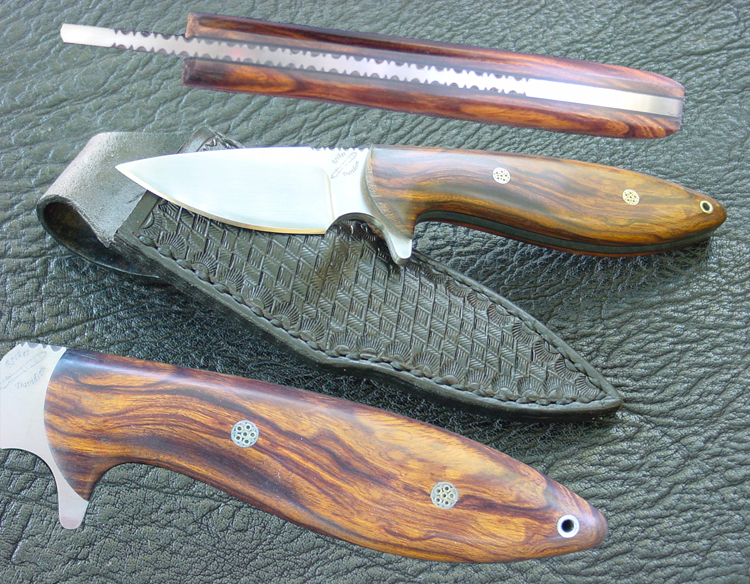 to inquire about custom hunting knives made to order. 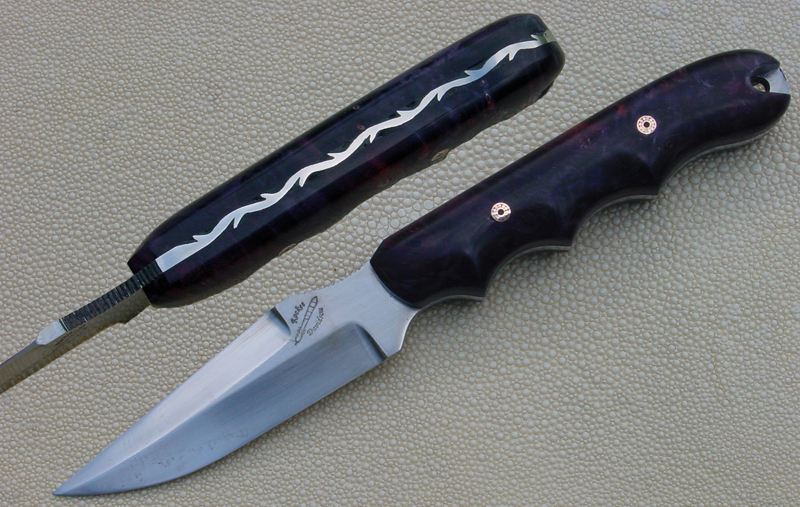 of a guardless drop point hunter. 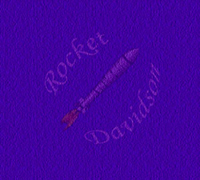 and is fileworked on its' spine. Overall length is 8". Mosaic handle pins keep the ironwood scales in place. Price for a similar piece is USD$200. All knives are fitted with a custom hand stitched leather sheath. Below is a guardless clip point with a 3 1/2" CPMs30v stainless blade. Blade thickness is 1/8", fileworked and checkered on the spine. mosaic handle pins, with an exposed lanyard hole. Price for a 3 1/2" clip point USD$250. Below shows another integrated guard drop point. and is decorated with filework on its' blade spine. 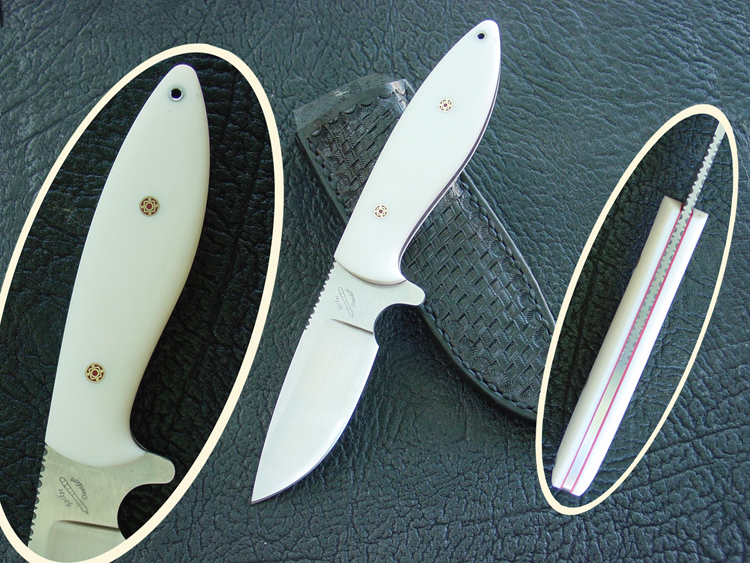 The handle is white micarta, embellished with mosaic handle pins. Price for a similar guardless drop point is USD$250.